The Hilton Leningradskaya is a landmark building in Moscow--one of the seven 'Stalin' towers, next to the Garden Ring. This five-star hotel has a contemporary décor, matched with stunning historic architectural features. The lobby features a carved wooden ceiling, elaborate metal gates, and huge brass chandeliers, while the outside of the hotel retains its deco-style features. 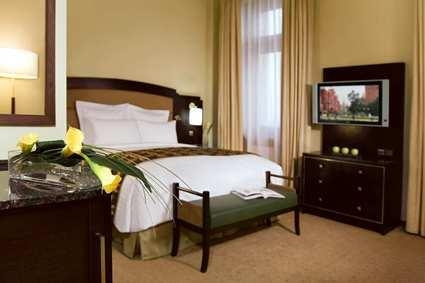 The hotel offers luxurious guest rooms and suites; most are contemporary, while the largest suites retain historic features. There is a restaurant with an international menu, and an elegant lobby bar. There are meeting rooms and a ballroom, and a fitness centre with a swimming pool. The hotel is about 25 km from the Sheremetyevo international airport. The hotel is part of the international chain of Hilton properties.